I like to leave the board outlines larger, place parts and then start shrinking the board until it looks good. 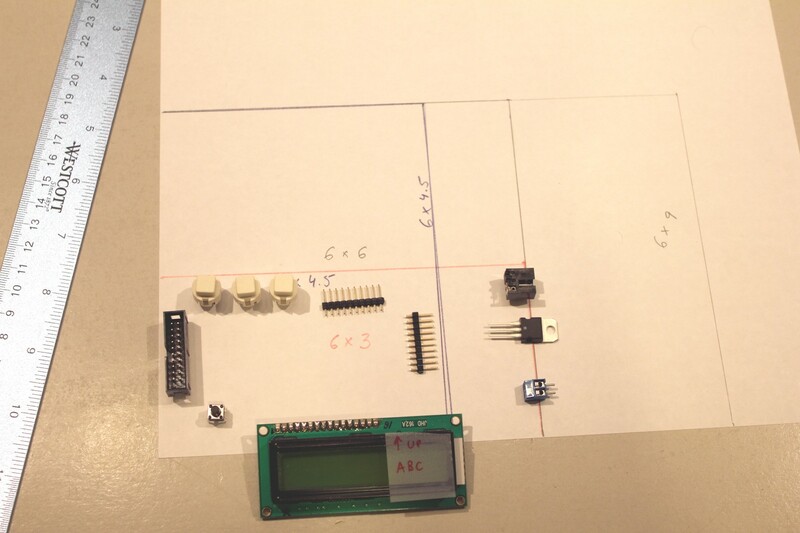 The process will depend on your requirement: do you know the final board size? Do you already have an enclosure? Once I had to fit a board in a specific enclosure, so that time I sized it first. For this project, the board could have any size, but I wanted to minimize the cutting: I had 6x9” PCB and I needed to make just one cut. Assign: Ctrl-E to “ratsnest; move” commands. This is very useful when routing and moving parts. 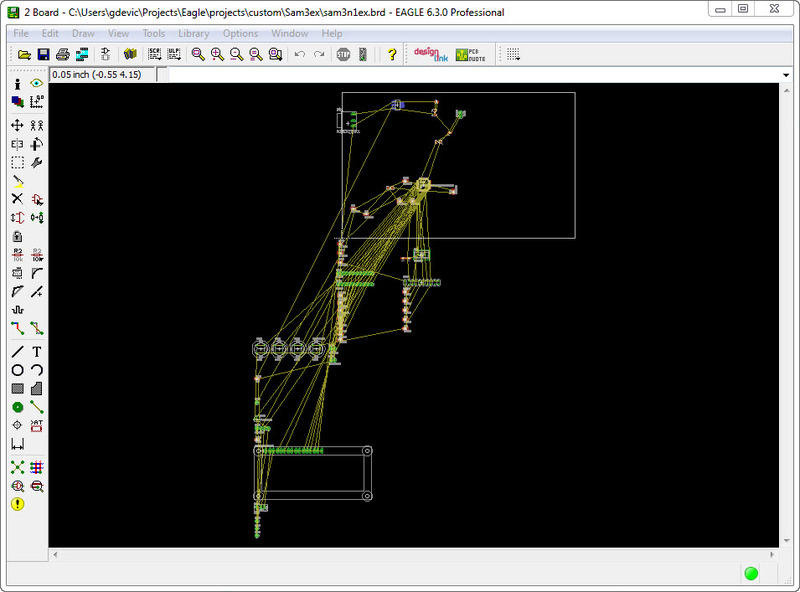 Layout and routing are an art. 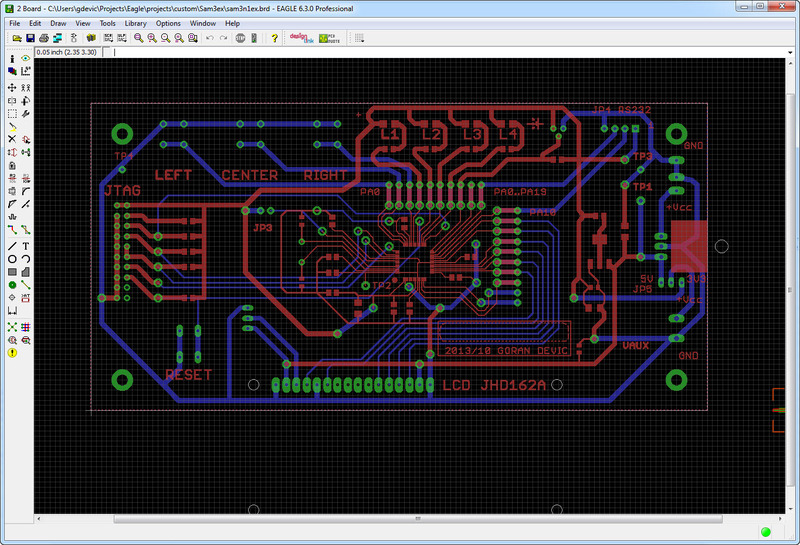 You can use Eagle’s auto-router, but I always found I can get better results by manually routing a board. Besides, that is one step in the process which can really make you think hard. It is also a very creative step, so why to skip the pleasure by running the auto-router? 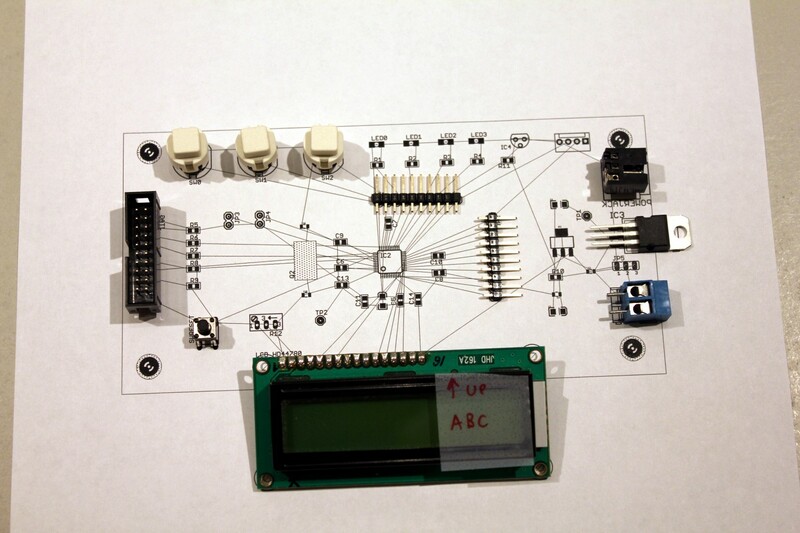 Be prepared to keep undoing and re-doing the routing or parts of the routing as you find a progressively better layout. Lastly, create alignment marks outside the board outline. I like to create these using dedicated layers which I create (101 for tAlignment and 102 for bAlignment: top and bottom). You will use these marks to align transparencies containing mask. This step ends the theoretical (and creative) part of the design. The rest is mechanics which can be perfected. I like to intentionally leave a few days of break at this time: I use it to go over the design and layout with a clear mind. It always amazes me how many problems I only see a day or two later!